REGISTRATION for 2019 IS NOW OPEN!! There’s a saying in golf “if you want to get better, play golf with players that are better than you.” The BIM6x event is a gathering of ARCHICAD’s best users and at a beautiful resort in Mexico! ARCHICAD by the Beach was jam-packed with useful information presented by industry experts that are also engaging. Worth every penny. My entire firm attended ARCHICAD by the Beach in Cabo San Lucas this year and it was a wonderful experience. Not only did everyone learn a great deal, but we also had a relaxing vacation in the process! The presenters were spot on, the organizers really fun, and we met a lot of other ARCHICAD users to socialize and compare notes with. Absolutely loved it! “A perfect tax-deductible working vacation for my wife and I. I learned a lot about my favorite program”. I have been using ARCHICAD since version 4.0, but self-taught. I can’t begin to mention the amount of useful information I have received from this week. Learning must be fun. ARCHICAD by the Beach brings learning to another level. It was an awesome experience the whole week. Could not imagine a better seminar! BIM6x organized a one of a kind event that combined the advantages of a vacation with a really powerful ARCHICAD Training week! Everything was amazing, the location, the other trainers, the topics, and most of all, the clients! This exclusive event is the ultimate way to take your practice to the next level. Get personalized, high caliber training from top experts and be pampered with the best Cabo San Lucas has to offer. We’re limiting this event to 50 attendees* to ensure your VIP experience. The 2019 event will include more trainers, more ARCHICAD Concierge sessions, more activities for spouses & guests, more time to spend on recreation and one more whole day! Plus there will be plenty more surprises included! 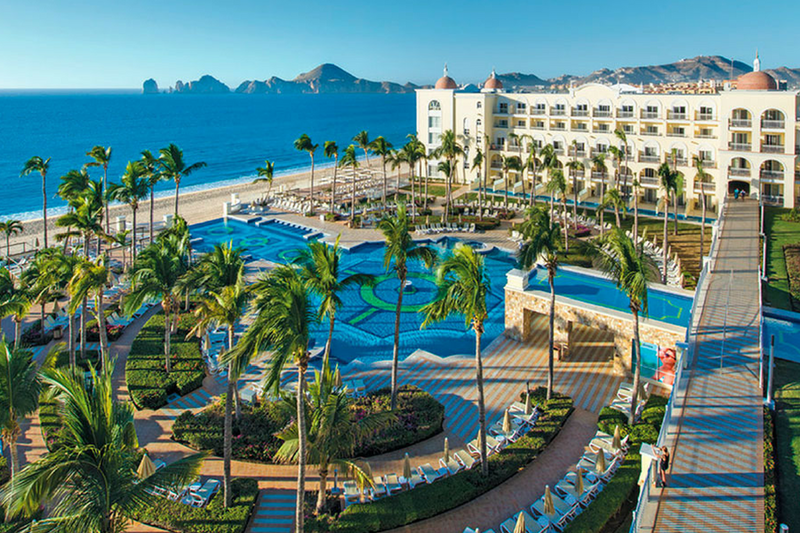 This special event will be held at the luxurious beachfront Hotel RIU Palace Cabo San Lucas, a 5 star, all-inclusive resort with a wide array of amenities. Enjoy incredible ocean views, pamper yourself at the spa, cool off in one of the four pools and enjoy fabulous drinks at one of the swim-up bars. You can even walk right onto the beautiful white sand beach directly from the hotel. We have gathered some of the world's top trainers in their fields of expertise. With no less than a 1:10 trainer to attendee ratio, our experts come from GRAPHISOFT Headquarters in Budapest, GRAPHISOFT North America, as well as established ARCHICAD Professionals and Architects from Europe and North America. There will be over 24 hours of presentations covering a comprehensive range of high-caliber topics. Get one-on-one instruction from our world-class trainers through the ARCHICAD Concierge program. Book multiple sessions with the experts of your choice. We recommend bringing your laptop so that you can get help directly with your own live projects. Come discover why Todos Santos is known as the Pueblo Magico, or “magical town” of Baja. We have planned a wonderful day, including air-conditioned transportation, tour of a rug & blanket factory, time to explore the shops, and enjoy an authentic Mexican meal & drinks, in a beautiful garden setting. Set sail with us on a 75 foot luxury catamaran as we cruise around Lands End and along the Pacific Coast. Relax and enjoy music, drinks, a freshly prepared Mexican feast while gazing at a stunning Cabo sunset. Dancing on the top deck to finish! Make new friends and enjoy adventures together with other spouses and guests! While your attendee is busy learning ARCHICAD during the day, you can join the other spouses and guests having fun! From camel safaris to shopping trips to cooking classes. There’ll be something fun for everyone! Make it a vacation of your own! Want to experience an adventure? 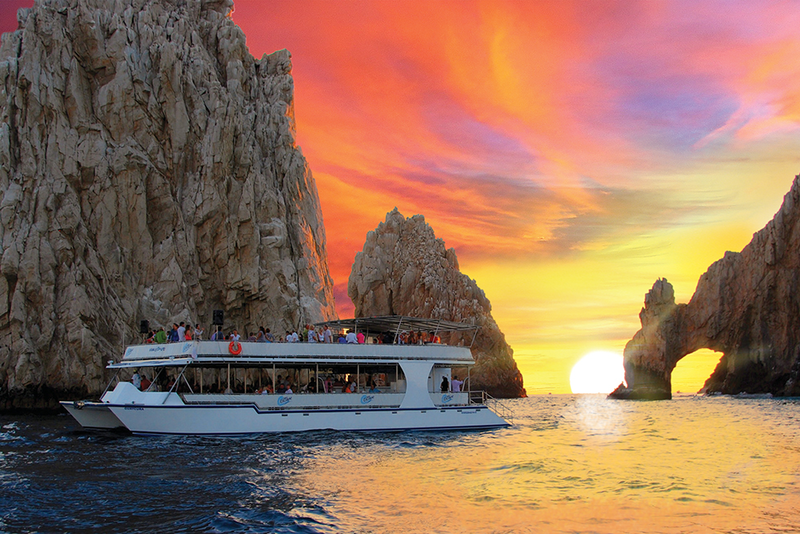 Cabo has much to offer! Golf, Marlin Fishing, Snorkeling, Scuba Diving, Surfing, Sailing, Parasailing, Flyboarding, ATVing, Zip-Lining, Mountain Biking, Hiking and Shopping - just to name a few.